The last two days saw a big sell off in the markets with some great trading setups. Fortunately the increase in volatility did not decrease liquidity. If a decrease in liquidity had happened, you would not see that quality patterns setup on the chart. The e-mini premium would have been all over the chart as in the example below. Instead the liquidity necessary for proper trading setups was present, and we saw some great pattern trades. The best sequence occurs in the last two hours of Friday, with 3 perfect setups in an hour. What is also important about these charts is that they look no different than any other trading day. 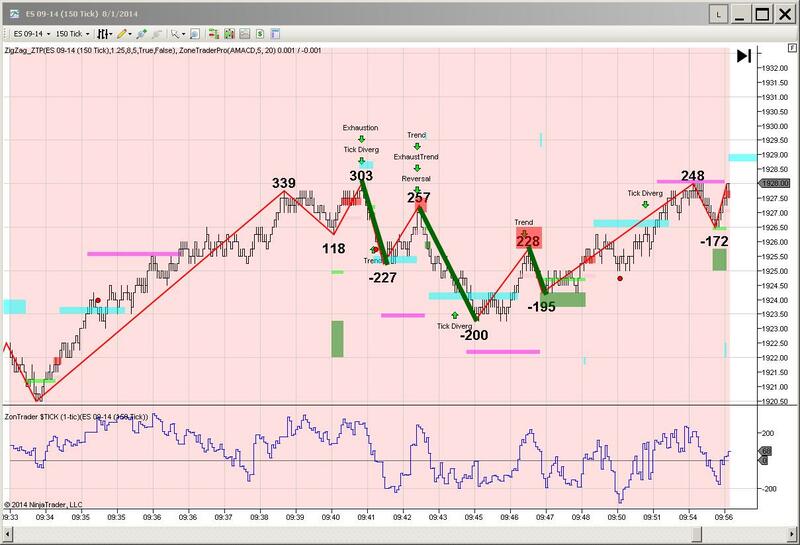 Long trades still have perfect trading setups, and you can find even more trading setups with the short trades also.